I’m a FOSSIL (a Fine Old Senior Soul In Lycra), not too long in the tooth by today’s standards but gently retired. Became a born-again cyclist about 9 years ago (1998), though I’ve dabbled over the years. 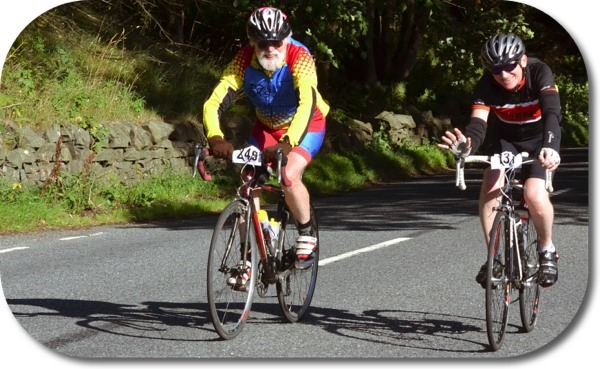 I want to be a Fine Old Senior Soul in Lycra too – far superior to being a MAMMIL. Ah well, if I’m not quite there yet something to aspire to. Great blog – keep up the good work! Thanks so much, you’ll reach it one day! I am still down as following your blog, but didn’t seem to get the last one. I’ll try unfollowing & re-following and see if that works. Ah the joys of tech!